It’s not a surprise if the new chief executive of Metropolitan feels a bit like the new girl, although as she exudes confidence it doesn’t show. A lot has changed in a short time. The last time Inside Housing profiled her was only 18 months ago. Back then, she was chief executive of Thames Valley, and taking stock after Genesis abruptly pulled out of a planned merger at the 11th hour. But fast-forward to today, and that separation is in the rear-view mirror. Ms Nanda left Thames Valley, where she’d been chief executive for nearly 10 years, to take the top job at Metropolitan. Within months the two organisations announced their own plans to merge. Ms Nanda is now the chief executive designate for what will, if the marriage banns are read, be a 57,000-home landlord, building 2,000 homes a year. So what are her plans for Metropolitan, and what is the inside story about the proposed merger with her old association? 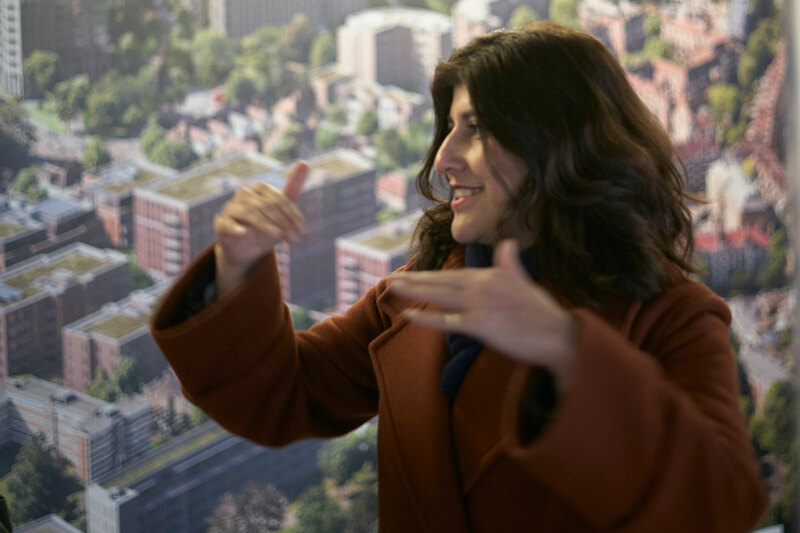 We’re talking as we walk – Ms Nanda is taking us on a tour of Metropolitan’s gigantic 36-hectare Clapham Park Estate in south London, its flagship and once-troubled regeneration project. This is a particularly appropriate place for us to be considering these questions. This part of south London is a Zone 2 anomaly. “It’s well-loved by the people who live here,” Ms Nanda says. But for almost everyone else it’s a bit of a blank – despite being sandwiched between bourgeois Clapham Common and uber-trendy Brixton, there are few shops or cafes among the blocks of flats and construction sites. Of course the £1.6bn regeneration plans to change that, doubling the number of homes to 4,080 – of which 53% will be affordable, adding a park, space for kids to play, new shops, green roofs and 4,000 bicycle parking spaces. But in the housing sector’s eyes, Clapham Park is already a familiar name due to its crucial role in Metropolitan’s story. In 2012, the regulator downgraded Metropolitan because of what it called an “undeliverable masterplan” for regenerating this estate, bringing work to a halt. It may have taken five years, an increase in finance, various changes in structure, and work to bolster Metropolitan’s balance sheet, but plans are more than back in motion. In February last year, the then Homes and Communities Agency upgraded Metropolitan’s financial viability to V1, the top score possible. And the regeneration will now deliver 638 more homes than originally envisaged, in a masterplan that gained planning approval shortly after our interview. Most of the work happened well before Ms Nanda took over the helm, but this isn’t just a victory tour. It’s also a look at one of the biggest items on the new chief executive’s agenda. 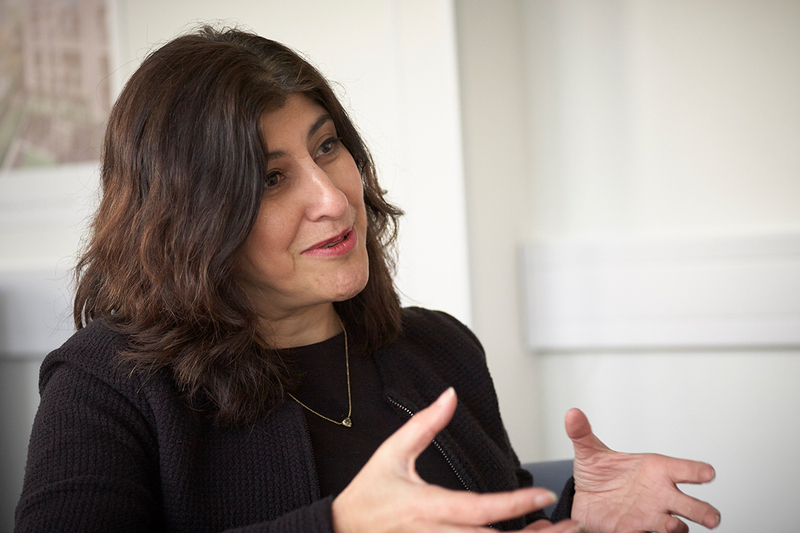 “It’s a massive delivery piece – regeneration projects go on for 25 years,” Ms Nanda points out. This has come at a sensitive time for regeneration, especially in London. But Metropolitan seems to have its tenants onside. The new affordable housing is being built first, so that tenants don’t have to move off the estate then back again (normally the private sale homes are built first to subsidise the development, so this means the association has had to “take the knock early on” financially to make this happen, Ms Nanda says, but as a result “most people are staying here and buying into it”). Making a success of the regeneration will be an important statement for Ms Nanda, but it’s only one of a multitude of projects on her to-do list. Her main objective? “I’d like to make it a really great organisation.” Perhaps anticipating that might come across a little vague, Ms Nanda adds: “For me, it’s that people want to come and work for us because they see us as a great organisation to work for, that our residents love being with us, that we provide great services for them and they can talk well of us. Ms Nanda also wants Metropolitan to be a “social innovator”, working with communities to try new solutions on the ground. “If you build a home, give someone a base, it changes their life for good. It’s easy to say that. But that shouldn’t just be what we do,” she says. But the biggest item on the agenda must be that planned merger with Thames Valley. The announcement came so swiftly after Ms Nanda was confirmed in post, it invites speculation that the move was planned. Instead, the events unfolded the other way around, she says: the chairs of the two landlords naturally talked to each other as part of the process of recruiting Ms Nanda to the job at Metropolitan, and they clicked. “They got on quite well, they were talking about me,” she laughs. The chemistry was there – but the two organisations also complement each other. They have different specialities: Metropolitan does regeneration, but Thames Valley doesn’t, for example. Thames Valley has a huge local need for older people’s housing, and Metropolitan has the expertise and connections. “You could bring the skills together to help create something different, something new,” Ms Nanda says. For that reason, mass redundancies are not expected if the merger goes ahead. The failed merger of Thames Valley and Genesis is still pretty fresh. So does the learning from that make it more likely that this merger will go through? Ms Nanda is circumspect. “There’s a long way to go,” she points out, but the answer seems to be: yes. And it helps that the chief executive of Metropolitan built up Thames Valley over almost 10 years, and passionately believes in it. She adds that “they did that”, meaning the staff of Thames Valley. This sounds like the foundations of a solid marriage. 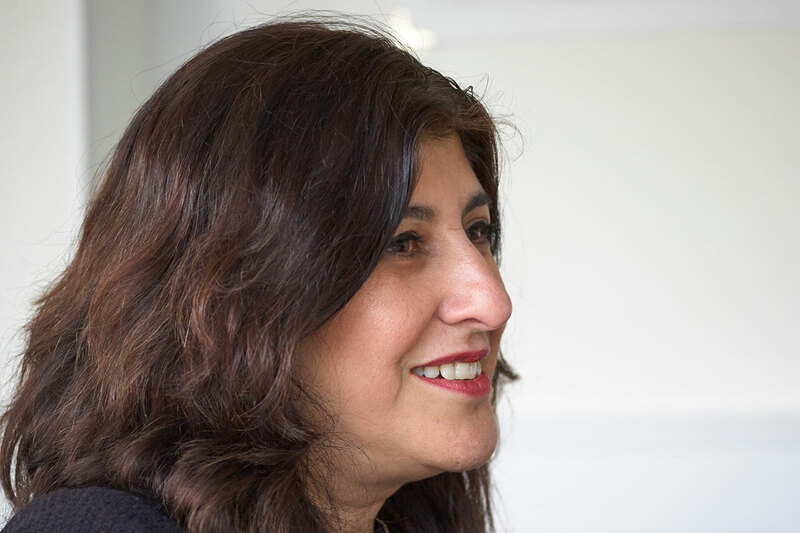 Geeta Nanda is one of only three black or minority ethnic chief executives in the top housing jobs, highlighted by an Inside Housing survey on diversity earlier this year. This is the question that Inside Housing’s campaign Inclusive Futuresis trying to address. “We should’ve gone much further by now,” Ms Nanda says. One problem, she argues, is that so many of the BME specialist housing associations have shut down or been subsumed into large mainstream landlords, cutting off a route to advancement for BME housing staff. Ms Nanda spent about four years working for Ujima early in her career – before the housing association ran into trouble (it collapsed in 2008). As that path to advancement is narrowing, Ms Nanda thinks that mainstream associations need to be opening up new opportunities – one suggestion is for senior staff who are nearing retirement age to job share with promising junior staff. This would allow them to step back and work less without quitting, and give real opportunities to learn for younger staff.